Cat Ballou (1965) is an american comedy Western film. It is the story of a woman who hires a notorious gunman to protect her father’s ranch, and later to avenge his murder, but finds that the gunman is not what she expected, but a drunkard. The movie stars Jane Fonda in the title role, with Lee Marvin, Michael Callan, Dwayne Hickman, and singers Nat King Cole and Stubby Kaye, who together perform the movie’s theme song. Lee Marvin won an Oscar for his dual role. 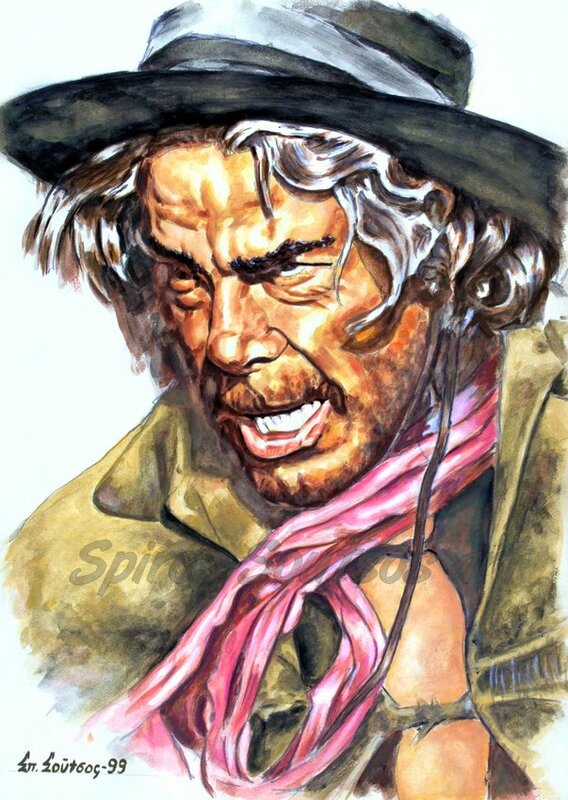 He plays the role of the legendary gunfighter Kid Shelleen who is a drunkard and is hired by Cat Ballou to protect her father from gunslinger Tim Strawn, and also the role of Strawn the hired killer who murders Ballou’s father. The film was directed by Elliot Silverstein from a screenplay by Walter Newman and Frank Pierson from the novel The Ballad of Cat Ballou by Roy Chanslor. Chanslor’s novel was a serious Western, and though it was turned into a comedy for the movie, the filmmakers retained some darker elements. The film references many classic Western films, notably George Stevens’ Shane. Although the film received mixed reviews, it was popular with cine goers and earned $20 million in 1965, making it one of the top ten moneymaking movies that year. In his Oscar acceptance speech, Lee Marvin concluded by saying, “I think, though, that half of this belongs to a horse somewhere out in San Fernando Valley,” a reference to the horse Kid Shelleen rode, which appeared to be as drunk as Shelleen was.